Teenagers face many struggles today and not all of them manage life’s difficulties as they have been raised to do. From delinquency to substance abuse, many parents struggle to help their troubled teens come back to the right path. Sometimes, these parents need help with their teens in the form of professional intervention. There are many kinds of programs which are dedicated to helping troubled teens, as the needs of these teens can widely vary. One of these excellent options to help troubled youth are equine residential treatment centers. What Is An Equine Residential Treatment Center For Tees? Functionally, an equine residential treatment center for teens is very similar to a regular residential treatment center for troubled teens. Teens receive academic assistance, mentoring, intensive therapy, and more at a residential treatment center. The key difference is the inclusion of equine-assisted therapy. Equine therapy can assist troubled teens as they work through their various issues. Many troubled teens struggle to open up and work with certified therapists, whether at home or while in treatment. Adding the element of equine therapy can help the therapists at an equine therapy residential treatment center make important breakthroughs with the troubled teens who are at the treatment center. Equine therapy is the incorporation of horses into therapeutic practices. Many times, these therapists are occupational therapists who help individuals overcome physical disabilities, such as neuromuscular disorders, speech delays, and other issues. This is often done by riding the horse with the assistance of a trainer and the therapist. When it comes to the more mentally-focused equine therapy, riding is more of a side feature of an equine therapy program. Instead, individuals are guided to perform caretaking tasks for the horse such as grooming, haltering and leading a horse, feeding as well as other tasks the therapist deems appropriate. This allows the therapist to observe the behaviors of their client and allow the client to let down some of their resistance to regular therapy. What Do Equine Therapy Programs At A Residential Treatment Center Involve? Horse grooming – Troubled teens are taught how to properly groom and care for the horse they have chosen as their therapeutic partner. The process of grooming allows the teens to bond and become familiar with the horse. Stable space maintenance – Not all treatment centers will have the resident teens clean their horse’s stable space but some basic maintenance will be required, such as maintaining a clear area, taking care of riding and training gear, and more. Feeding the horse is generally required of the teens in the equine therapy program. This work can help teens learn important life skills and teach them greater responsibility. Therapeutic riding – In an overstimulated world where teens are internet addicts, many troubled teens have never ridden a horse before attending an equine therapy program at a residential treatment center. Learning to connect with and enjoy the outside world through the movements of their horse as they ride can be life-altering for many troubled teens. Instruction from professionals – The time troubled teens spend with the horses will always be supervised by certified horse handlers. This keeps everyone safe and ensures a positive experience for the teens and the horses. Equine training – With the assistance of professional trainers and mental health therapists, teens will participate in training their horses. This can be a very hands-on form of therapy as the teen will need to learn to control negative impulses to help train the horse. For teens prone to anger management issues, they will learn that anger will frighten a horse and the horse will generally not respond well to anger. With other teens struggling with things such as oppositional defiance disorder, the disobedience of the horse they are training can show the teen clearly what their own poor behavior is like for others and help the teen to focus on improvement. 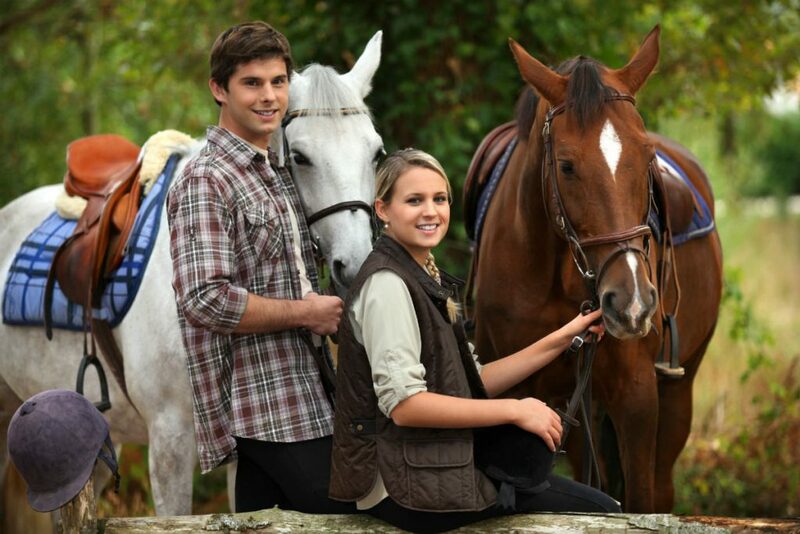 Why Choose An Equine Residential Treatment Center For Your Troubled Teen? There are many residential treatment centers for troubled youth for parents to choose from when looking for a program for their troubled teenager. Teenagers are often more comfortable around animals than adults. The inclusion of a horse during therapy can help a teen to relax enough to open up to their therapist. Therapists are able to watch how the teen interacts with their therapeutic horse partner and gain insight into the teen’s mindset. Working regularly with horses can help teens who are struggling with mood disorders, such as depression and anxiety. Many teens develop greater self-esteem, confidence, and positive assertiveness. With the trainers to prevent any mischief, the troubled teens must overcome personal struggles to train their horses. A horse is too big to be made to train if not approached properly. The equine therapy program acts as a positive supplement to the overall structure of a residential treatment center for troubled teens and the impact can be seen throughout the program. Academic – Troubled teens are better able to focus on their studies after spending time working with the horses. This is due in part to having some of their excess energy drained and the focusing effect the horse work can have on troubled teens. Experiential – Many teens become disconnected from their feelings and actions, so residential treatment programs focus heavily on experiential therapy for behavior modification. Along with regular workouts, the ability to work one-on-one with a horse is a great supplement to any experiential therapy program. Therapeutic – Regular talk therapy is part of a residential treatment center for troubled teens. As the equine therapy time offers insights into the troubled teens for the therapists on staff, teens can feel more comfortable during their regular therapy sessions after working with the therapists during equine-assisted therapy. There are several key differences between wilderness therapy programs and equine therapy programs at residential treatment centers. Wilderness therapy programs are often shorter in duration than equine therapy programs at residential treatment centers. Experiential therapy is usually the only form of therapy offered in wilderness therapy programs. Equine therapy programs have both experiential therapy and more traditional therapy with certified mental health therapists. Equine therapy programs for troubled teens can be more expensive than wilderness therapy programs. Teens attending an equine therapy residential treatment center will receive an education and academic support. There is generally no academic focus in wilderness therapy programs. Sometimes a ranch for troubled youth will be interchangeably called an equine-assisted residential treatment center for troubled teens. However, depending on certifications, this can be a large mislabelling. Equine-assisted therapy programs at residential treatment centers for troubled teens are highly qualified programs which have received specific certification. Ranches for troubled youth will generally not have the same certifications. A ranch for troubled youth does not always have an academic program supporting its resident teens. An equine therapy residential treatment center will always have an educational program for the attending troubled teens. There is generally a larger staff of healthcare professionals at an equine residential treatment center than at a troubled teen ranch. Parents are constantly called on to make life-changing decisions for their teenagers with little help or advice given. Here at Help Your Teen Now, we want to offer our help and support to struggling families. We offer troubled teen program placement counseling. 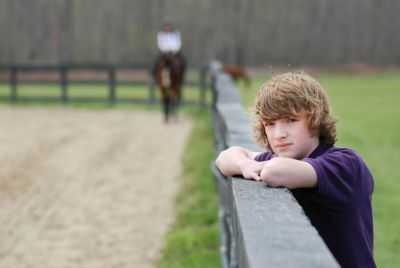 So, whether you want to send your son or daughter to a therapeutic boarding school or a residential treatment center with an equine therapy program, we can help you decide what is best for your troubled teen. We offer our services completely for free.